Adding to its long-form event series development slate, Fox Broadcasting Company announced March 20 that it has inked development deals for two high-profile drama projects from FX Productions: “Shogun” from Academy Award-nominated producer Michael De Luca (“The Social Network,” “Moneyball”) and Nigel Williams (“Elizabeth I”) and “The Run of His Life: The People v. O.J. Simpson” (working title) from Nina Jacobson (“The Hunger Games” franchise, “Diary of a Wimpy Kid” franchise) and Brad Simpson (“World War Z,” “Diary of a Wimpy Kid” franchise) and based on legal journalist Jeffrey Toobin’s best-selling book of the same name. 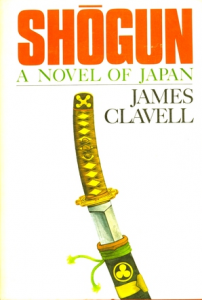 “Shogun,” based on the best-selling novel by James Clavell, opens a window into the brutal world of feudal Japan. Set in the 17th century, the story is told from the perspective of British hero John Blackthorne, a sailor who rises from outsider to samurai, while being used as a pawn in Japanese leader Toranaga’s struggle to reach the top of the ruling chain. “Shogun” is both a cross-cultural exploration of Blackthorne’s journey away from the European way of life, and a star-crossed love story, as he falls for the magnificent Lady Mariko, the married confidant to Toranaga. “Shogun” was first produced as a miniseries by NBC in 1980 with Richard Chamberlain as Blackthorne, Toshiro Mifune as Toranaga and Yoko Shimada as Mariko. Everybody remembers where they were when O.J. Simpson, riding in a white Bronco, led the police on a low-speed chase all over Los Angeles. This marked the emergence of the 24-hour news cycle and the birth of reality television. Written by Golden Globe Award winners Scott Alexander and Larry Karaszewski (“The People vs. Larry Flint,” “Man on the Moon,” “Ed Wood”), “The Run of His Life: The People v. O.J. Simpson” will take viewers behind the scenes of “the Trial of the Century,” driven by the nonstop plot of a courtroom thriller and presenting the story of the trial as it has never been told. “Blood Brothers,” from Bruce C. McKenna (“Band of Brothers,” “The Pacific”), Gary Randall (“The Glades,” “Saving Grace”) and Timothy Scott Bogart (“Majors & Minors,” “Touched”), is the true story of the West Point Class of 1861. As a bitterly divided country tore itself apart over the issue of slavery, best friends, bonded in the intense crucible of the academy, found themselves on opposite sides of a conflict that quickly became the bloodiest in U.S. history. Fox (www.fox.com) finished the 2011-2012 season at No. 1 in the key adult demographic for the eighth consecutive year, while continuing to dominate all network competition in the more targeted adults 18-34 and teen demographics. Fox airs 15 hours of prime-time programming a week as well as late-night entertainment programming, major sports and Sunday morning news.